Spanish sword. Greek equivalent of gladius Hispaniensis . C - private with special responsibilities. B - deputy to dictator during the republic. 'Master of the soldiers'. late Roman senior officer. 'Master of the infantry'. late Roman senior officer. 'Master of the people'. equivalent title of dictator . General of the late Roman imperial field army. 'Master of both military services'. late Roman senior officer. Soldier serving in manipulus . heavy infantry soldier. A - unit consisting of two centuriae . B - late Roman army squad. A - light torsion gun. C - force. military unit. Troop of Germans. early imperial horse guards. 'Martian'. ie dedicated to Mars, the god of war. NCO on double pay in the medical service. 'Glorious soldier'. comic braggart soldier character. Equestrian term of military service. Armed military service. as opposed to service in the late Roman civil service. Transfer to another branch of the armed forces. 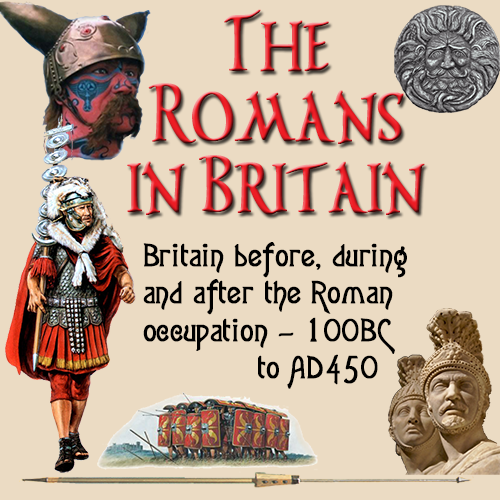 The civil service, manned in Roman times by predominantly military personel. 'Petitioner for service'. equestrian requesting posting as an officer. First stint of equestrian military service involving command of an auxiliary cohors . Fourth military posting in equestrian military career involving command of an elite ala milliaria . Second term of equestrian military service. generally this involved a post as tribunus either in a legion or an auxiliary unit, though for a limited period this involved command of an ala , an auxiliary cavalry regiment. Third tour of duty for equestrian officers involving command of an auxiliary fivehundred strong cavalry regiment, though for a short while a legionary or auxiliary tribunate was given as the third posting. 'City troops'. the forces stationed at Rome itself. 'Thousand paces'. mile. the Roman mile was 5000 feet of either 294mm or 332mm giving a length of 1480 m to 1660 m.
Human headed bull standard which was one of the original five legionary standards in the republican army. Bronze table listing soldiers who had served their time. 'Marius's mule'. nickname for heavily laden legionary. Soldier without exemptions from duty. Potential recruit who has cut off his thumb to escape military service. 'Gallic wall'. stone wall with a skeleton of stout wooden beams to lessen the impact of battering rams. 'Shellfish man'. late Roman marine.